I am full-on referring to this as a gown, not a dress, because that is a GOWN. That reflects the work that went into it, and even though I was so late to the job, I put in the work. And I love it, I hope she gets to wear it again for something. A little hard to sit in, but she pulled it off. 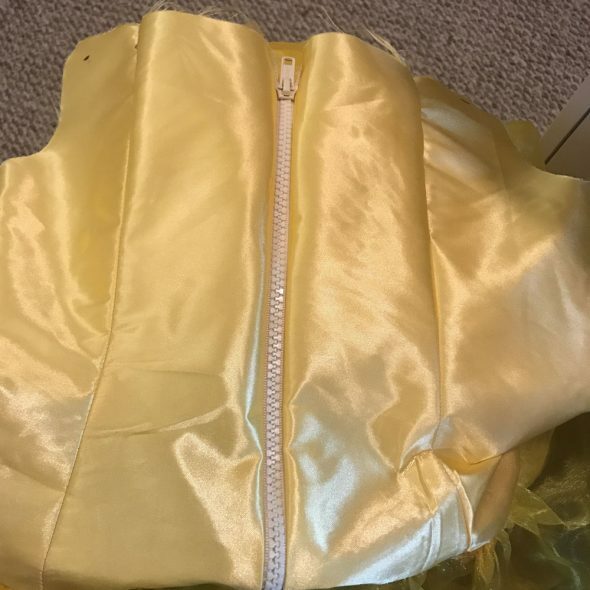 The bodice is pale yellow satin, and the underskirt is made with a richer yellow satin with glitter embellishment. 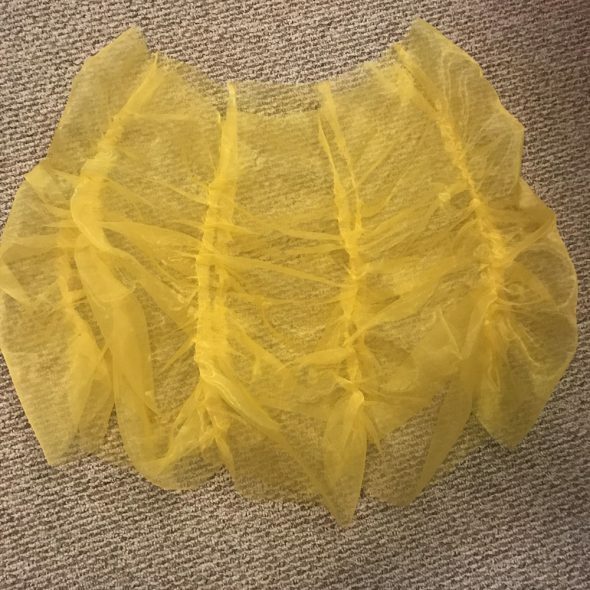 You can’t really see it under that organza overskirt, but it gives it some nice dimension. 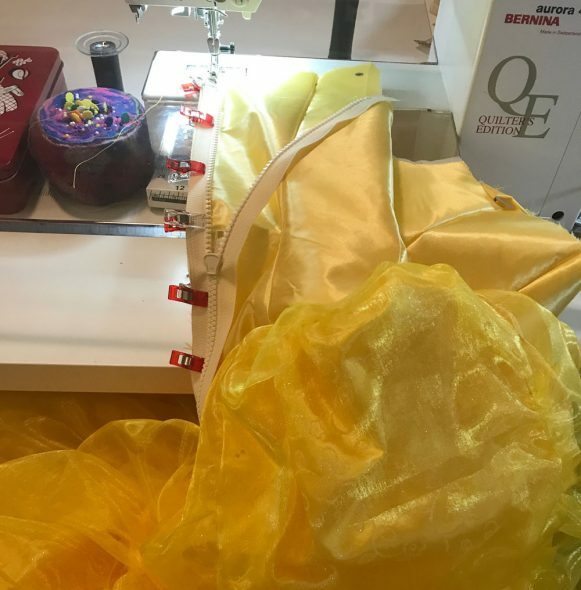 This is the organza that I bought in Greece for this costume (I have seriously known about this costume for ages and have no excuses). I’ve never sewn anything this elaborate before, and I don’t have an urge to do it again. 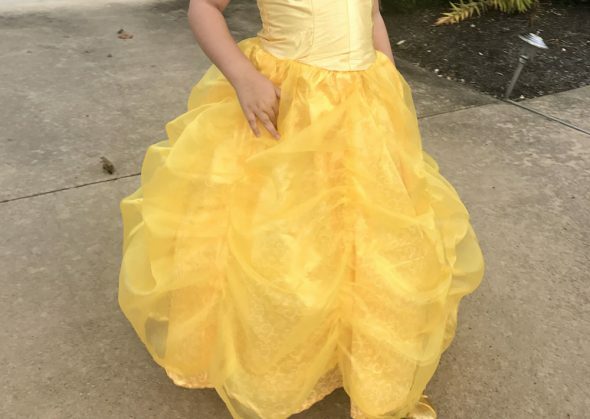 My mom asked me a week before Halloween to please buy an emergency Belle dress in case I didn’t get it done (I’ve been so busy I just haven’t had much time or energy for sewing). 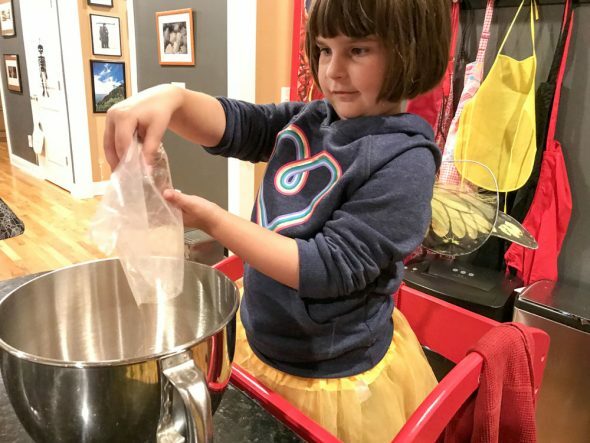 And a few weeks before that she bought a too-small Belle costume with a hoop skirt lining so I could cut it out if I needed to. 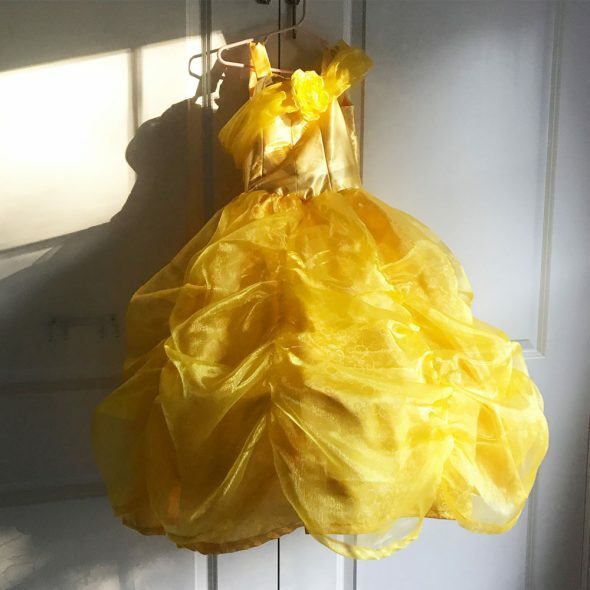 I needed to, so instead of making the slip with netting from the pattern, I sewed the hoop skirt into the inside of this dress. It is not pretty if you turn it inside out, but it’s pretty on the outside. 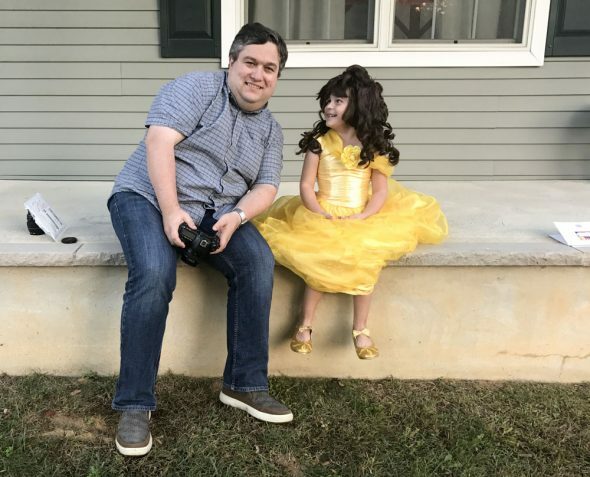 After I finished the costume on Saturday we took some pictures of her in the whole outfit outside because it was a beautiful day. Sunday it poured nonstop, and I was afraid the grass would stay wet and we wouldn’t get a chance to wear the whole outfit. We also made some ghost cupcakes on Saturday, but my marshmallow frosting kept melting. 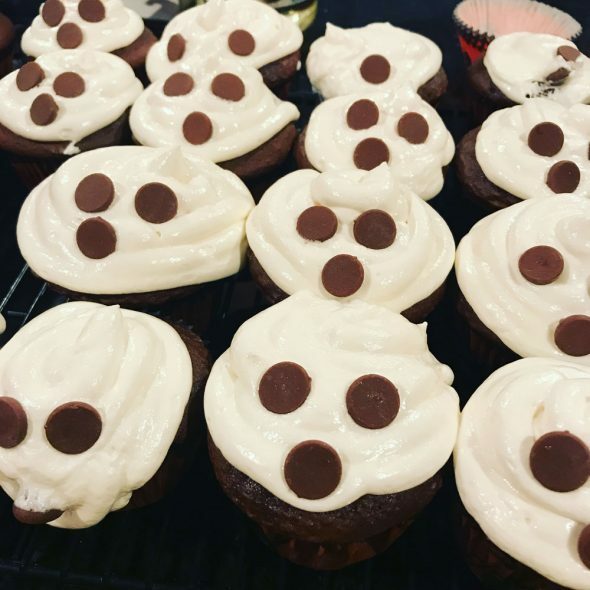 They’re melting ghost cupcakes. Still delicious. Then yesterday rolled around, and it was time for some trick or treating. 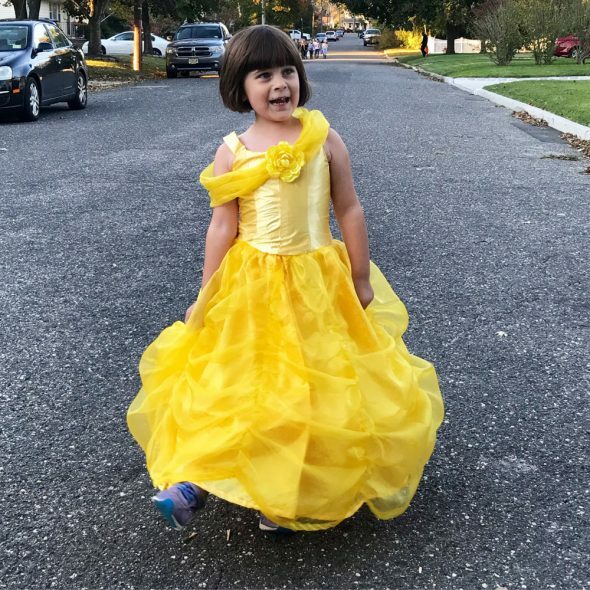 The wig and the special Belle shoes didn’t last very long, but the dress was great, and Hamilton came out for a bit, too. 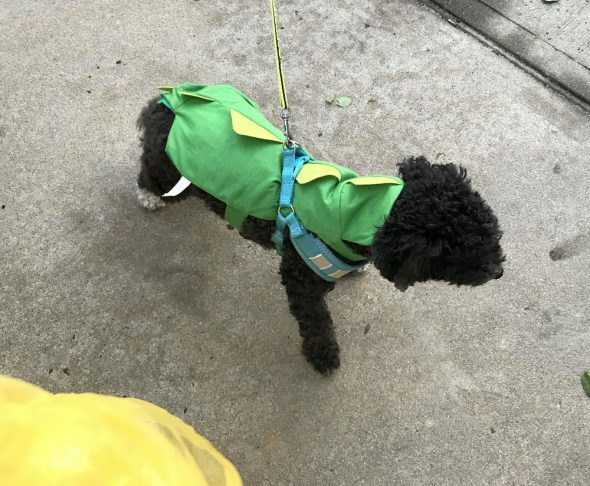 He was literally grinning, just so excited to be out in the neighborhood with all the trick or treaters. And that’s Halloween. I have to figure out how to store this gown, with its hoop skirt, so it doesn’t get crushed and can be used again. But it was gorgeous, and she was gorgeous in it, and soooo happy. 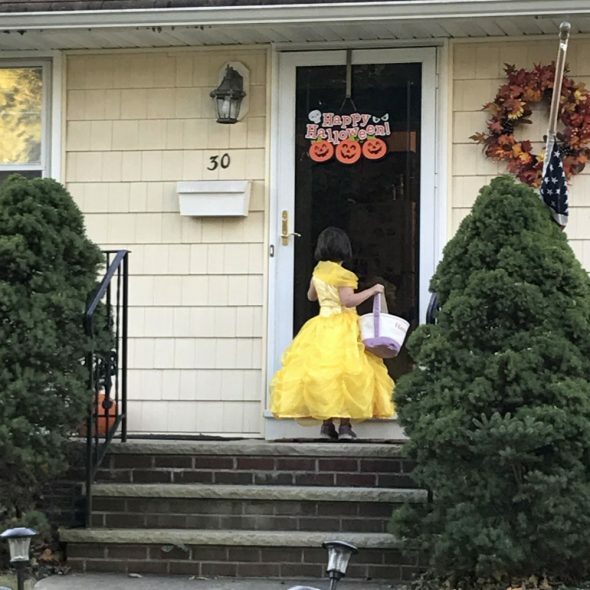 She didn’t trick or treat for long, and then came home to give out candy, but it was really sweet.